Service Objects is very proud to have been recently selected as one of CIOReview’s Top 20 Most Promising API Solution Providers for 2016, judged by a distinguished panel comprised of CEOs, CIOs and VPs of IT, including CIOReview’s editorial board. If it is the latter, allow us to explain. An API, short for an Application Programming Interface, is code that allows our data validation capabilities to be built into your software. Which means that applications ranging from marketing automation packages to CRM systems can reach into our extensive network of contact validation databases and logic, without ever leaving the application. What this means for them is seamless integration, real time results and better data quality. Their databases have correct, validated addresses. Their leads are scored for quality, so they are mailing to real people instead of “Howdy Doody.” Their orders are scanned for potential fraud, ranging from BIN validation on credit cards to geolocation for IP addresses, so that you know when an order for someone in Utah is originating in Uzbekistan. What this means for you is that the applications you use are powered by the hundreds of authoritative data sources available through Service Objects – even if you never see it. 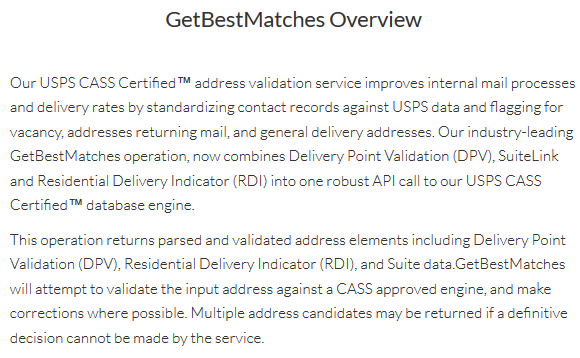 Of course, we have many other ways to use our products, including real-time validation of lists using our PC-based DataTumbler application, batch FTP processing of lists, and even the ability to quickly look up specific addresses via the Web. But we are proud of our history of providing world-class data validation tools to application developers and systems integrators. There is much more coming in the future, for systems integrators and end users alike. Our CEO Geoff Grow shared with CIOReview that one key focus is “more international data, as many of our clients are doing business outside the United States and Canada … The European and Asian markets are becoming increasingly important places (and) it is important for us to expand our product offerings and our expertise in more regions of the world.” And of course, our product offerings continue to grow and expand for clients in each of the markets we serve. 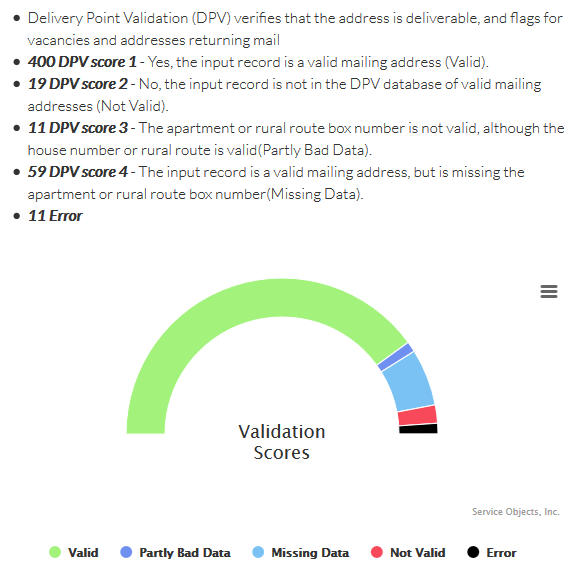 If you are a developer, we make it easy to put the power of Service Objects’ data validation capabilities in your own applications. Visit our website for complete documentation and sample code, or download a free trial API key for one of our 25 data quality solutions. We know you will see why our peers rank us as one of the best in the industry! Everyone knows that Michael Dell built a giant computer business from scratch in a college dorm room. Less well known is how he got started: by selling newspaper subscriptions in his hometown of Houston. You see, most newspaper salespeople took lists of prospects and started cold-calling them. Most weren’t interested. In his biography, Dell describes using a different strategy: he found out who had recently married or purchased a house from public records – both groups that were much more likely to want new newspaper subscriptions – and pitched to them. He was so successful that he eventually surprised his parents by driving off to college in a new BMW. This is an example of data monetization – the use of data as a revenue source to improve your bottom line. Dell used an example of indirect data monetization, where data makes your sales process or other operations more effective. There is also direct data monetization, where you profit directly from the sale of your data, or the intelligence attached to it. Data monetization has become big business nowadays. According to PWC consulting firm Strategy&, the market for commercializing data is projected to grow to US $300 billion annually in the financial services sector alone, while business intelligence analyst Jeff Morris predicts a US $5 billion-plus market for retail data analytics by 2020. Even Michael Dell, clearly remembering his newspaper-selling days, is now predicting that data analytics will be the next trillion-dollar market. This growth market is clearly being driven by massive growth in data sources themselves, ranging from social media to the Internet of Things (IoT) – there is now income and insight to be gained out of everything from Facebook posts to remote sensing devices. But for most businesses, the first and easiest source of data monetization lies in their contact and CRM data. Bad data makes your insights worthless. For example, if you are analyzing the purchasing behavior of your prospects, and many of them entered false names or contact information to obtain free information, then what “Donald Duck” does may have little bearing on data from qualified purchasers. The reputational cost of inaccurate data goes up substantially when you attempt to monetize it – for example, imagine sending offers of repeat business to new prospects, or vice-versa. As big data gets bigger, the human and financial costs of responding to inaccurate information rise proportionately. Information Builders CIO Rado Kotorov puts it very succinctly: “Data monetization projects can only be successful if the data at hand is cleansed and ready for analysis.” This underscores the importance of using inexpensive, automated data verification and validation tools as part of your system. With the right partner, data monetization can become an important part of both your revenue stream and your brand – as you become known as a business that gives more customers what they want, more often. We talk a great deal about data quality, validating information, and the impact on our business. Do we ever stop and think where bad data comes from? It’s not like there is some bad part of town where bad data hangs out as in some B-movie. Bad data doesn’t spontaneously appear as some clouds part. It’s not delivered by some evil version of the stork. Bad data has to come from someplace, but where? The first source of bad data is people. People do enter names like “Mickey Mouse” in a web form to download a piece of information. The resulting lead quality is now very low. If I’m a salesperson, I want to be selling so I may not be very diligent entering prospect information into a CRM system. In many instances, people just don’t know. How many of us know the full 9 digits of our home zip code? 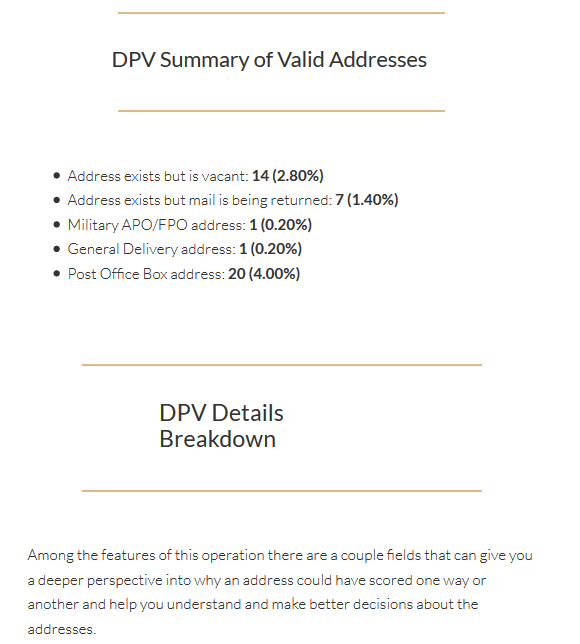 Could you properly format an address on a letter to France? How many different versions of a company name could be in the order entry system because the contact center people want to get the order booked? None of this is malicious, but it happens. The second category, process, is a little more subtle. Two companies combine through a merger or acquisition. Those companies have different ERP systems. Chances are the data in the two systems aren’t consistent, so we now have a data quality problem trying to find the common customer records. Even within a single organization, the people in accounts receivable may be treating data differently than the people in shipping. When a customer moves, the process to change the customer may not be getting enough attention. The orders and invoices are now going to the wrong place costing money and lowering customer satisfaction. Policies can be external to an organization. Did you know that over 100 different postcode formats exist across the globe? In the US, we don’t even call them postcodes; we call them zip codes. Many countries don’t have postcodes at all. In countries like Japan, the format of the address changes depending on the language in which the address is written. The US includes states as a part of the address; most countries don’t. 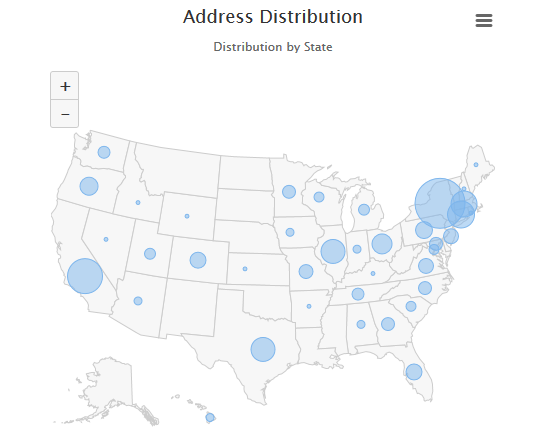 What happens to our data and our customers if we require a state and US-format zip code on a web form? You get the picture by now. Rather than bemoan the state of data quality, let’s be aware of the sources. When we build our ERP systems, install our marketing automation systems, and create our websites, think about what can happen. From that point, we can help the people who use these systems and their policies and procedures cope with all the issues. Improving data quality at the source has huge payoffs. 30% of the data in your marketing automation platform is likely incorrect – see how bad your data is with a free scan!